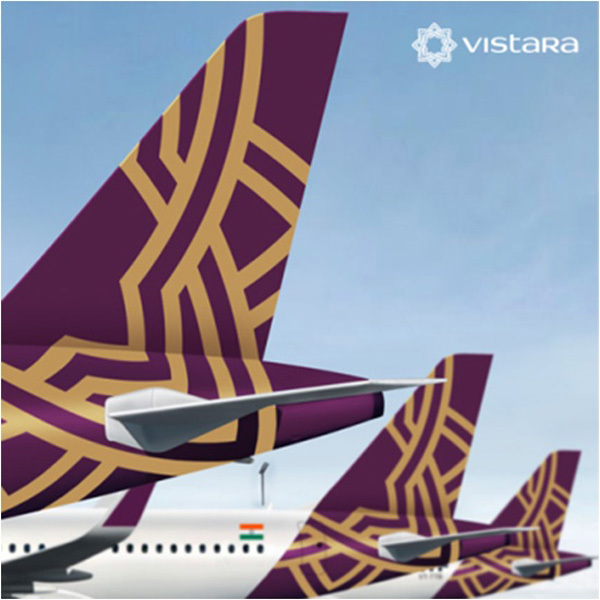 Vistara (TATA SIA Airlines Limited) (Delhi) on September 25 announced that it has taken delivery of its first Airbus A320-200 single aisle aircraft with Sharklets. Airbus A320-232 VT-TTB (msn 6223) was handed over on September 24. The brand new aircraft is the first of 20 A320 Family aircraft to be leased from BOC Aviation, Asia’s leading aircraft operating lessor. 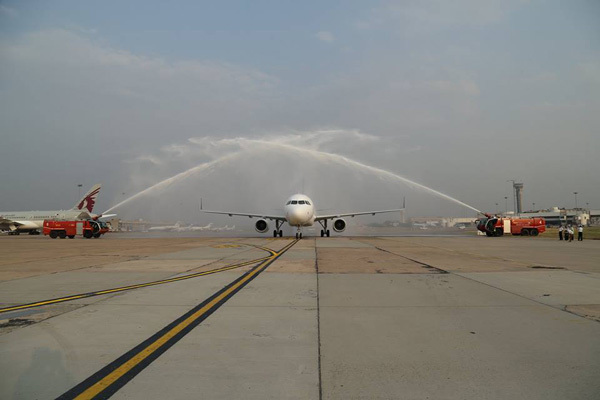 The aircraft’s arrival at Indira Gandhi International Airport, Delhi (below) is a key milestone for Vistara as it moves toward operational launch in October 2014. With this first acquisition, Vistara plans to increase its fleet to 20 aircraft, including A320neos, by the end of the fourth year of operation. TATA SIA Airlines Limited, known by the brand name Vistara, is a joint venture between Tata Sons Limited and Singapore Airlines Limited (SIA) with Tata Sons holding the majority stake of 51% in the company and SIA holding the remaining 49%. Vistara brings together Tata’s and SIA’s legendary hospitality and renowned service excellence to launch the finest full service carrier in India aimed at creating memorable and personalized flying experiences for its customers. Obsessed with quality, the company aims to set new standards in the aviation industry in India, with international best practices and state-of-the-art technology in the Indian air transport sector. 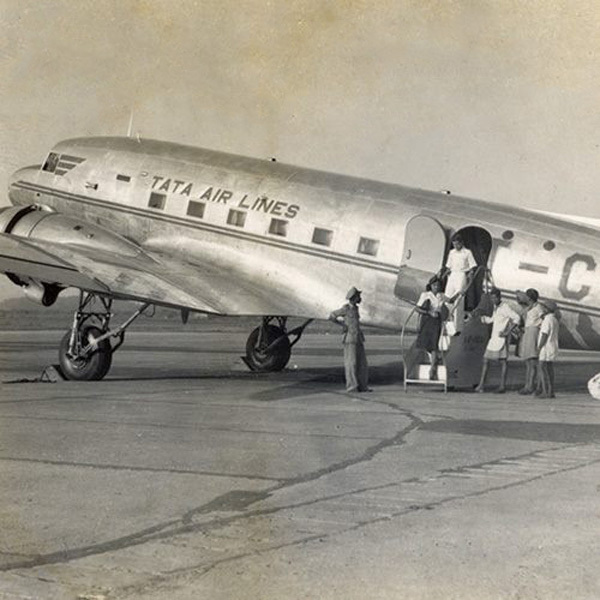 Above Photo: Vistara has a link to the previous Tata Air Lines on India. BOC Aviation, owned by Bank of China, is headquartered in Singapore with offices in Dublin, London and Seattle. 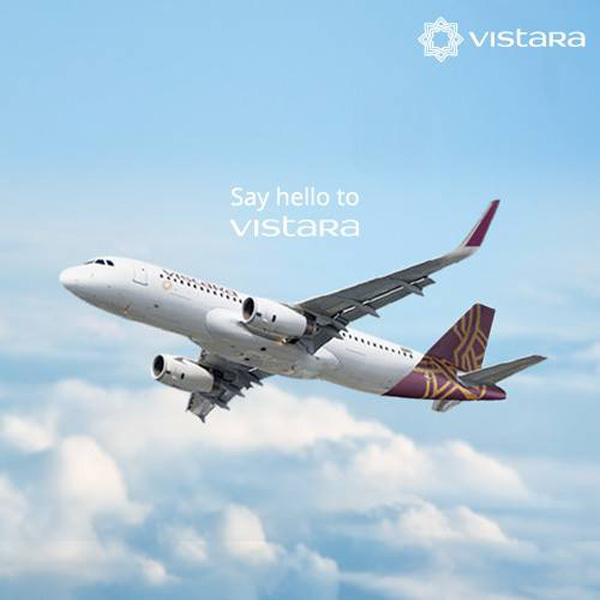 This entry was posted in Vistara and tagged 6223, A320, A320 Family aircraft, A320-200, A320-232, Airbus, Airbus A320, Airbus A320-200, BOC Aviation, Indira Gandhi International Airport, Singapore Airlines Limited, Tata Air Lines, TATA SIA Airlines Limited, Tata Sons, Tata Sons Limited, Vistara, VT-TTB on September 27, 2014 by Bruce Drum. 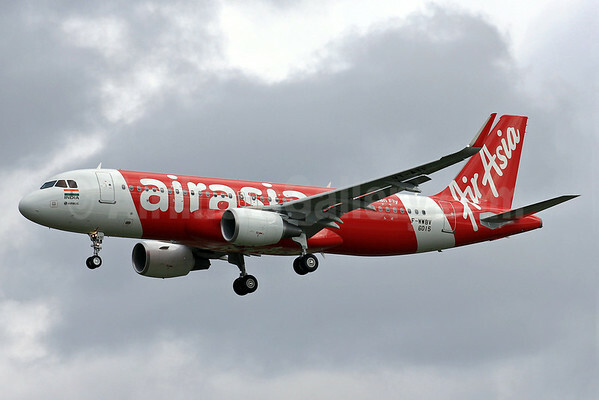 AirAsia (airasia.com) (India) (Chennai) will commence low-fare operations on June 12 between Bangalore and Goa. AirAsia India is a joint venture, partnering AirAsia, Tata Sons Limited and Mr. Arun Bathia of Telestra Tradeplace Pvt. Ltd. The entrance of AirAsia is expected to ignite a new fare war in India. Copyright Photo: Eurospot/AirlinersGallery.com. AirAsia India’s fleet will be drawn from the 475 A320 Family aircraft ordered by the AirAsia Group. To date, almost a third of the aircraft on order have already been delivered and are flying on AirAsia Group’s operations out of Kuala Lumpur, Bangkok, Jakarta, Manila and now Chennai. Airbus A320-216 F-WWBV (msn 6015) became VT-AIF on delivery. This entry was posted in AirAsia (India) and tagged 6015, A320, A320-200, A320-216, AirAsia, AirAsia (India), AirAsia (Indonesia), Airbus, Airbus A320, Airbus A320-200, Arun Bathia, F-WWBV, India, Tata Sons Limited, TLS, Toulouse, VT-AIF on June 9, 2014 by Bruce Drum.